Just 4 days to go until the countdown for Moshi Monsters series 8 is over and you can go out and purchase them yourselves from stores nationwide! If you want a sneak peak to all the new Moshlings, make sure you keep checking back here on Unique Young Mum on a daily basis! Also, one last thing before I introduce you to today's Moshling, don't forget the competition that starts at the end of the countdown for your chance to win a complete set of series 8! 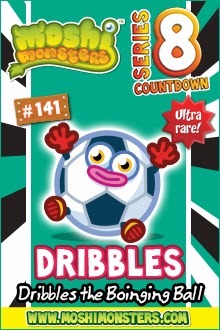 Dribbles is a lively, competitive and sporty Boinging Ball who loves Moshi football! 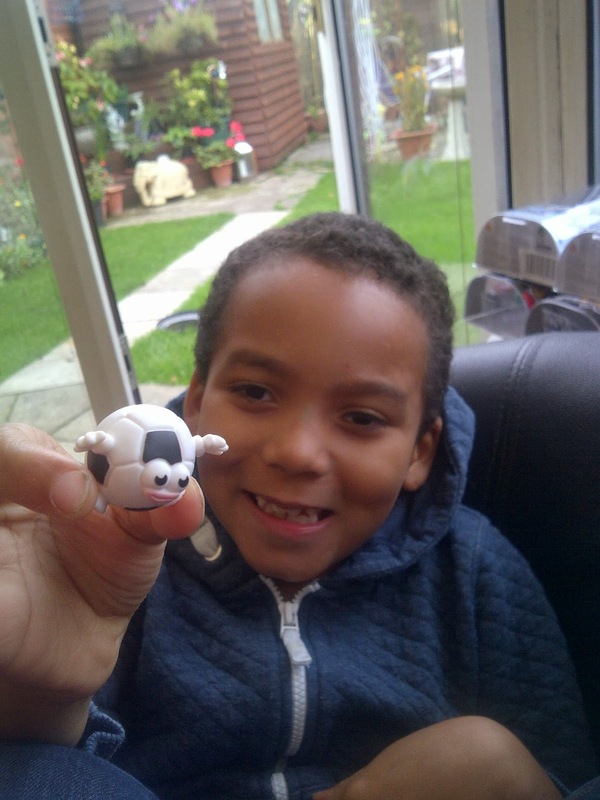 Dribbles loves being booted into the back of the net and if you ask nicely, he may even be goalie! Dribbles likes rolling around in mud and big silver cups and dislikes penalty shoot outs and red cards! Dribbles has joined Vinnie, Nancy, Zonkers, Jiggles, Fitch, Blinki, Eugene, Threddie, Slurpy, Grinny, Jackson, Blossom and Monty in the series 8 Moshling countdown and we can't wait to see what day 15 brings tomorrow!